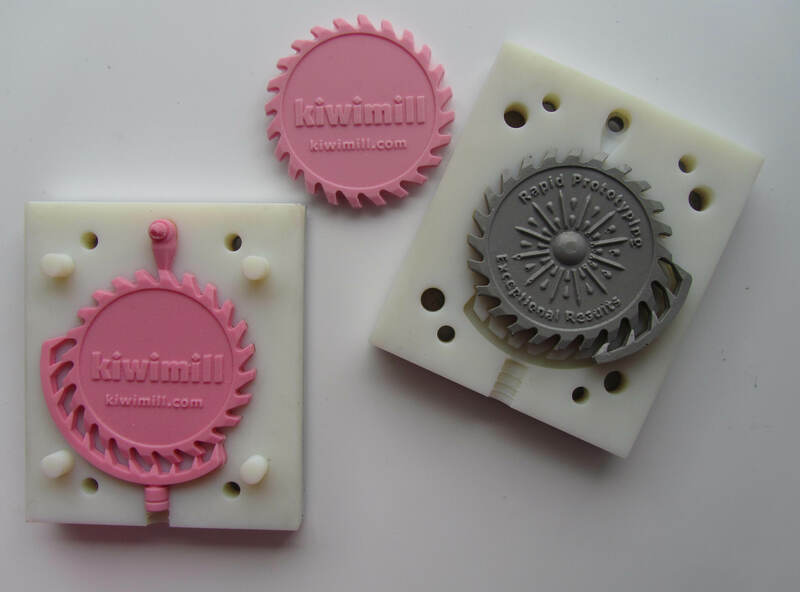 KiwiMill has an Objet 3D printer to make scale model parts efficiently, accurately and with greater detail. When the printer is not in use for model parts, it’s available to customers for rapid prototyping services. 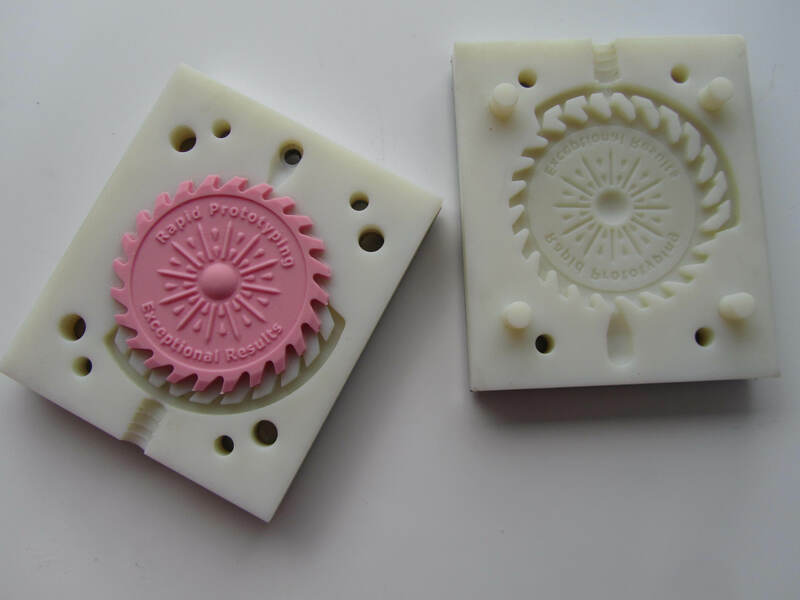 Not only can the printer create parts with very quick turn around and accuracy, but it can be used to create a tool for molding and casting multiple pieces. Here is a 3D printed mold created by our designer, Mike, that will be used to cast multiple parts. It incorporates gating and venting in the design. Creating a mold using a 3D printer saves time. Traditional molds require a Master to first be created, and then the mold is made from this initial part. 3D printing the mold means there is no need for a Master. 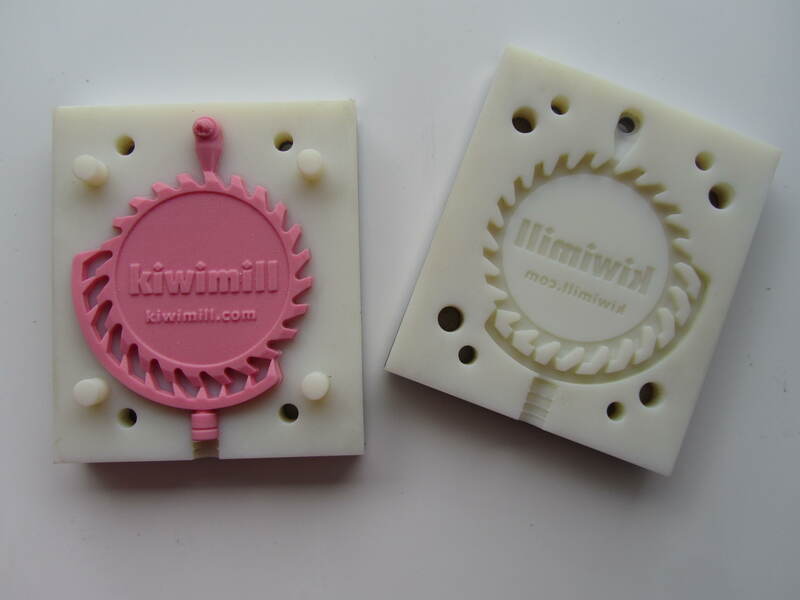 The mold is created with a 3D drawing, then “grown” in the 3D printer. It comes out ready to cast its first part. 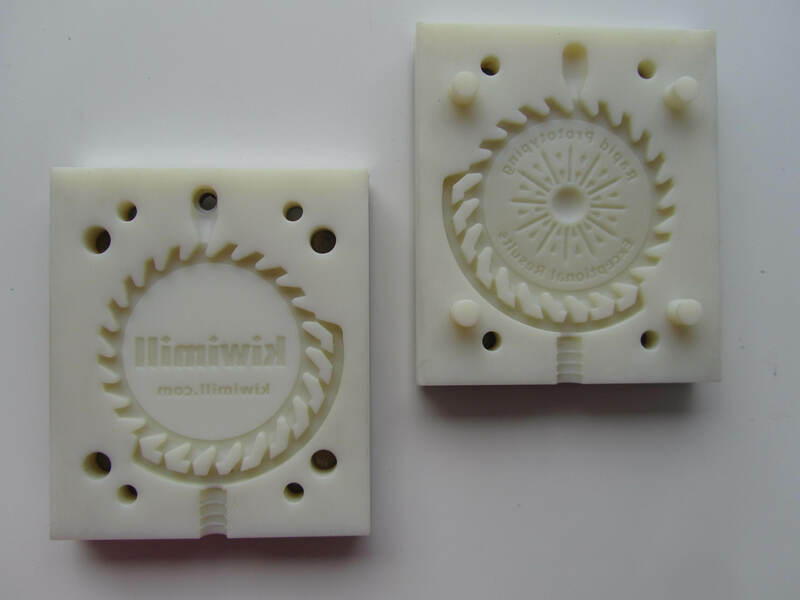 In this sense, 3D printing the mold eliminates entirely the molding step as it is traditionally known. Once you have your 3D printed mold, different materials can be cast in it – from very rigid, to soft and flexible. Yet another technology tool for Model Makers to make use of, and for our customers to take advantage of.